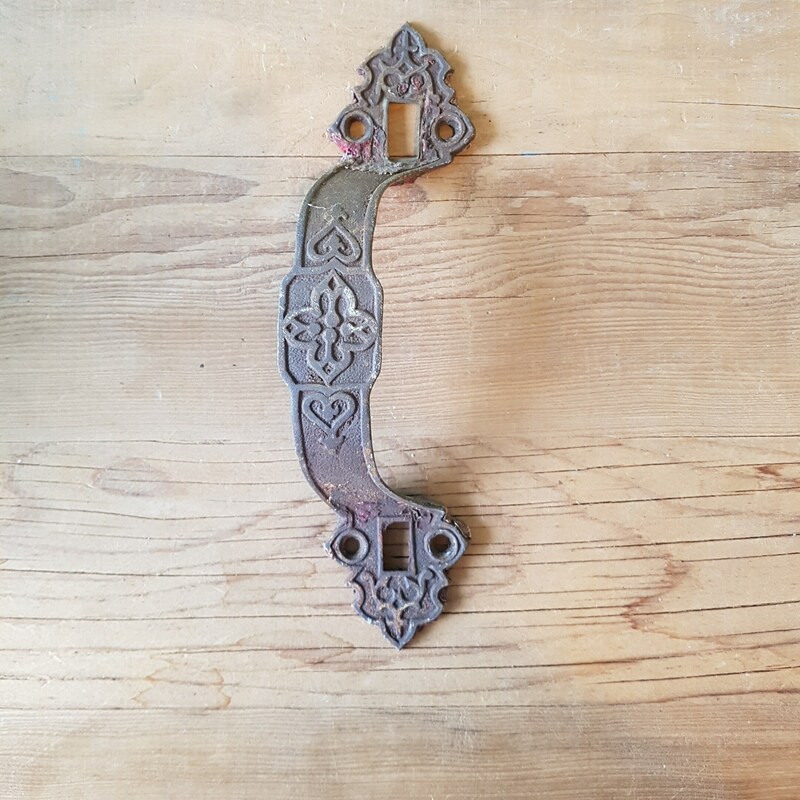 Fancy iron gate handle with hearts for your rustic gate. 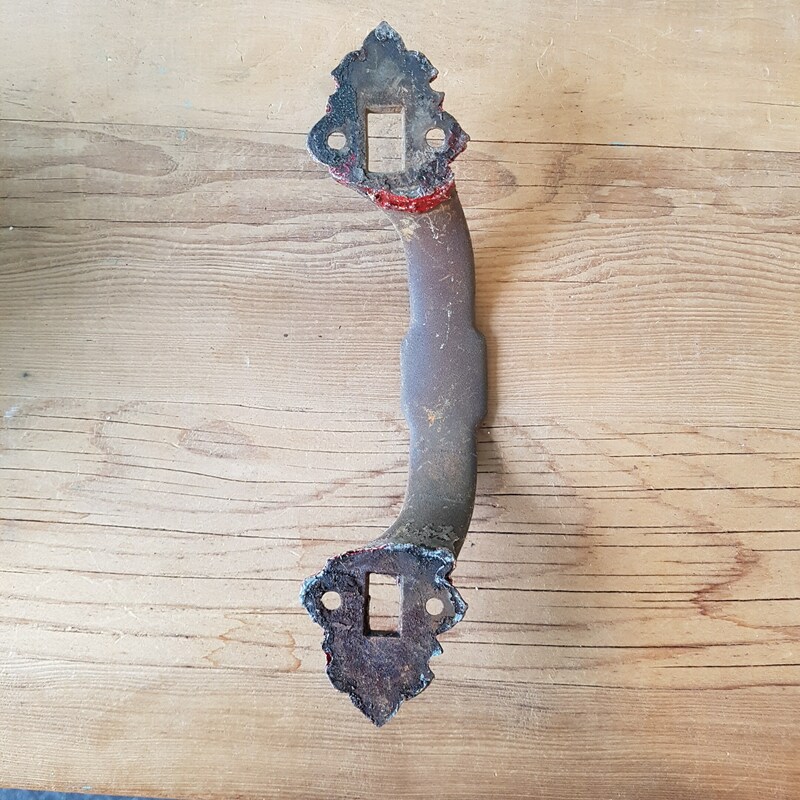 Left in the condition it was originally found in, you can remove the rust with oil and a wire brush or leave it as is for an authentically rustic style. 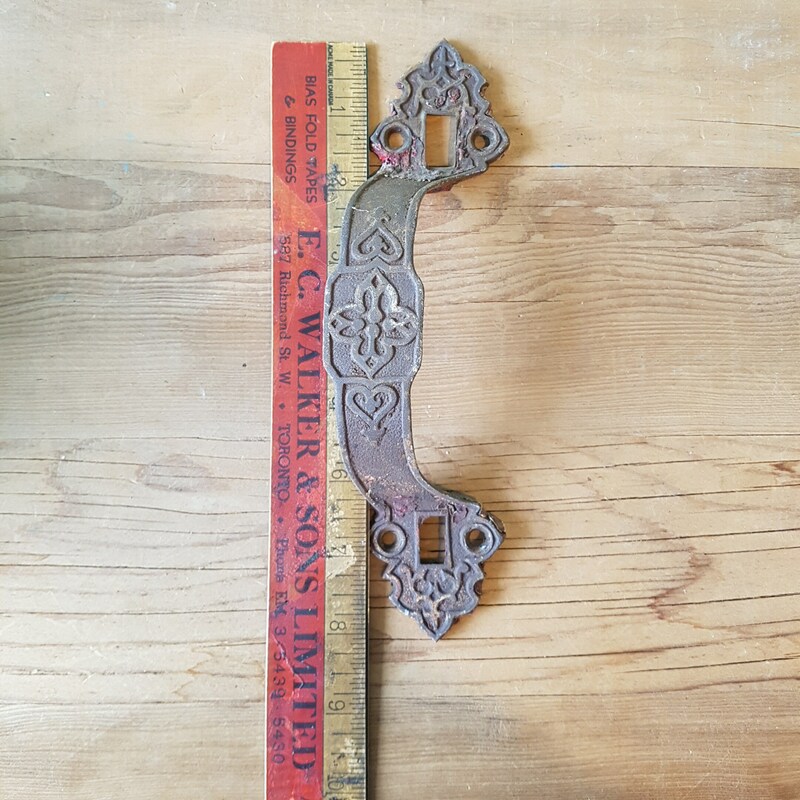 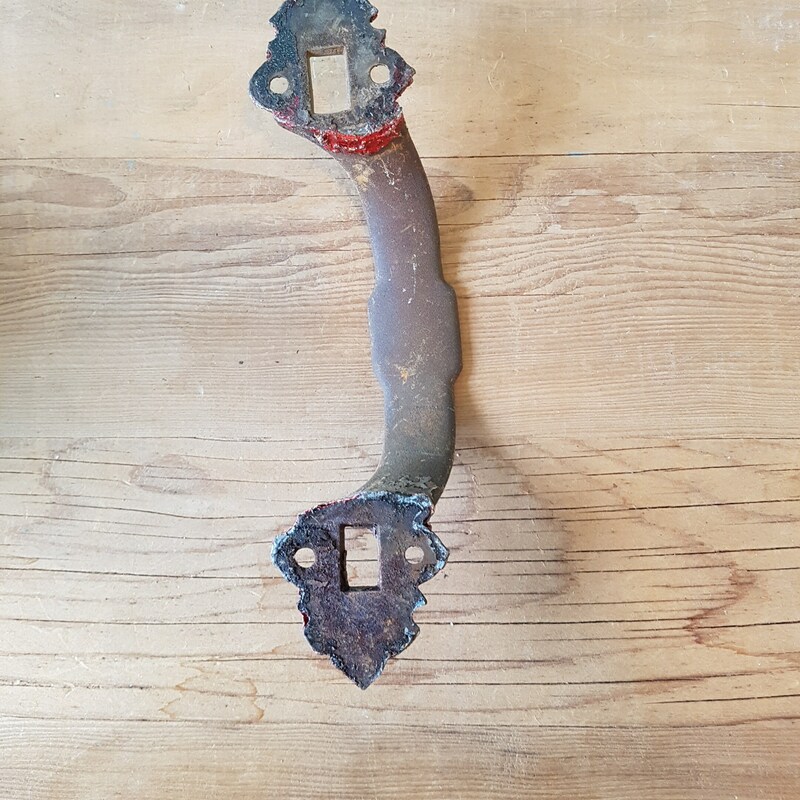 This iron gate pull handle is an actual antique, not a reproduction like what is commonly found online. 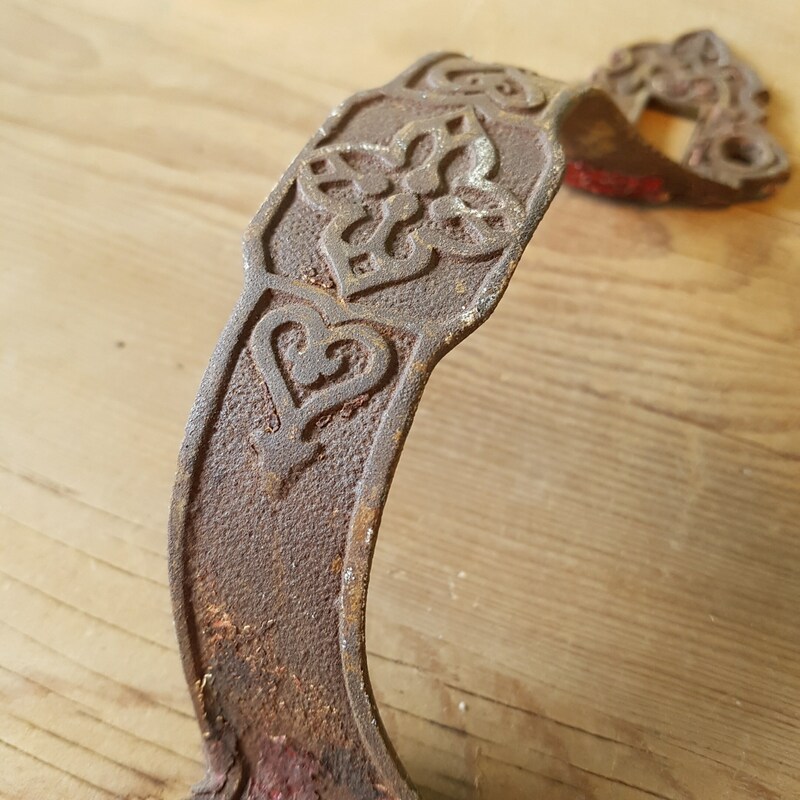 Still has the original patina gathered over the years and some paint flecks.